Tolani has been an important member of the team since the very beginning. We ended up working with many different people over the years but Tolani and I got the project started and kept it moving along. Stylist Tolani Lambo helps Sam Billy Williams into his hot-dog costume. Author Avril O’Reilly is on the right. 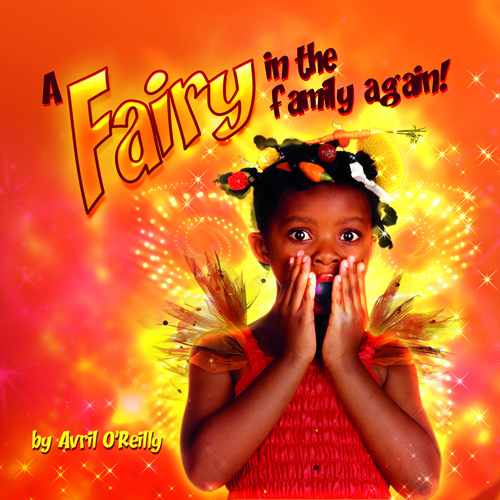 Tolani has a starring role in A Fairy in the Family Again. She played the part of the super-encouraging science teacher. Miss Treacle. She chose the name as a homage to Miss Honey, the kind teacher in Matilda. A friend of ours gave us the fab vintage dress.